This week, The Minor is profiling the candidates running for student body president. 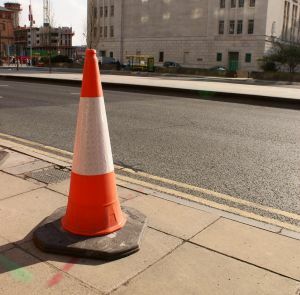 Today, we get to know Traffic Cone. CHAPEL HILL, NC – Traffic Cone always knew he would end up at UNC. A stellar high school student, Traffic Cone burst onto campus with energy and enthusiasm after being admitted to UNC. Early in his first year, he took a leading role in Safewalk, establishing a program called Students Pointing Out Things That Evoke Danger (SPOTTED) to raise awareness about slippery surfaces and potholes on campus. Throughout his childhood, Traffic Cone was called a pushover for his diminutive stature and pointy shape, but he quickly learned to make up for this with bright colors and a winning personality. Last year, Traffic Cone built a reputation for standing guard around missing bricks outside Ram’s Head. An easy face to recognize, he managed to collect the signatures he needed to get on the student body president ballot in a record-setting three hours. He took this as a strong endorsement for his platform of Safety, Awareness, and Pointing Things Out, and has been campaigning on those points ever since. Traffic Cone chose not to respond to questions about his alleged nightly habit of getting inserted into and stacked on top of other cones, a rumor that is sure to persist come election day.